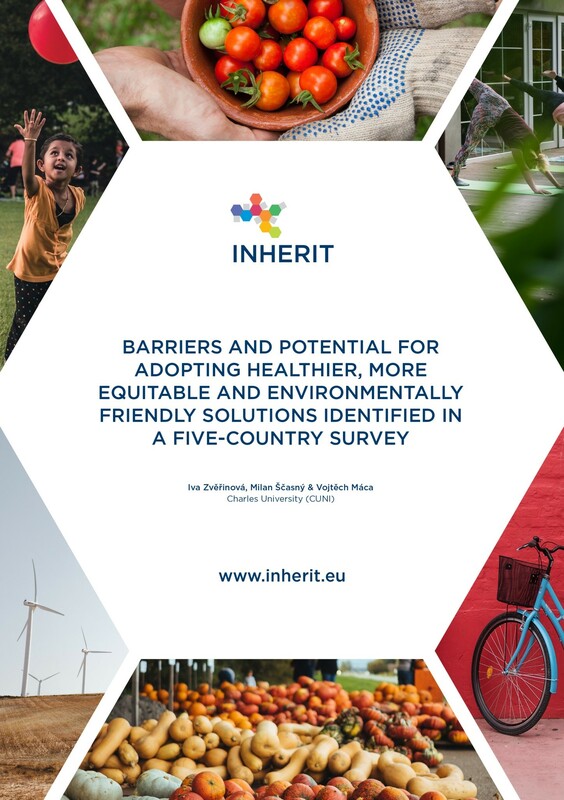 This INHERIT Five-Country Survey Report examines the attitudes, preferences and behaviours of inhabitants from five European countries related to food consumption, physical activity and energy efficient housing. It is based on nationally representative questionnaire surveys conducted in the Czech Republic, Latvia, Portugal, Spain, and the United Kingdom in 2018, with a total of 10,288 respondents. The survey examines the effects that incentive structures and the provision of information have on the willingness of individuals to adopt healthier and more sustainable lifestyles. Overall, findings show that the cost of living is the key factor in prompting people to choose an alternative lifestyle. Faced with a range of different policy options, European citizens showed the greatest support for subsidising fruit and vegetable production, as well as cycling and walking. In parallel, 43% to 46% of respondents in Portugal, Spain and the UK are in favour of a tax on soft drinks. Health risk – in particular cardiovascular risk – is also an important driver of the willingness to change lifestyles in all five countries. The less respondents’ diets corresponded to healthy diet recommendations made by public authorities, the more they are willing to change them. Conversely, providing general information about the environmental impact of diets only slightly increases the probability of changing lifestyles, although information on carbon emissions related to each lifestyle is considered an important factor. To explore European citizens’ views in more detail, please take a look at the full report.